Oh I just love to play around with different soups and chowders! 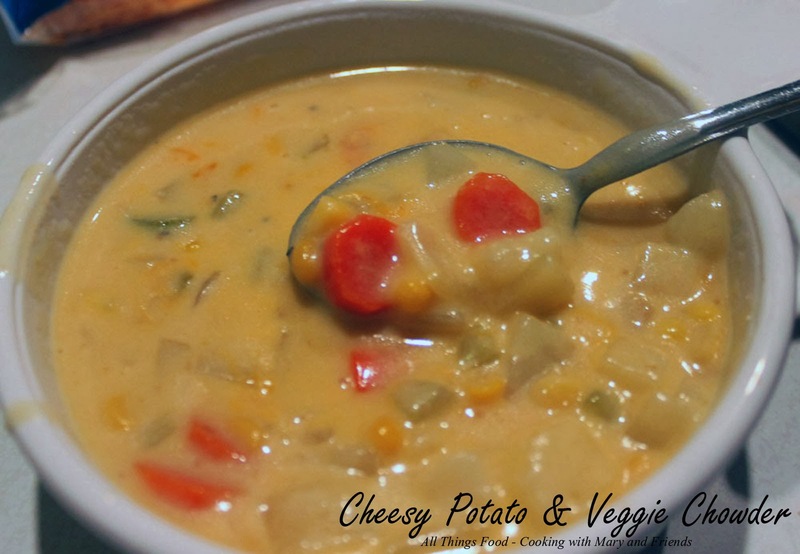 This is my recipe for a cheesy potato and veggie chowder. So good on a cold fall or winter night! Serve this with corn bread, cheese biscuits or crusty bread/rolls. Yumminess and completely meatless! Add shredded sharp cheddar cheese, stirring until cheese is melted. Serve immediately. Cook's note - change it up by adding cubed ham, diced/sliced smoked sausage, kielbasa, or cooked and crumbled bacon.